The name of the game these days is for artists to come out of the gate with measured, mature music; people’s attention spans are far too low to stick with a band beyond the first listen. 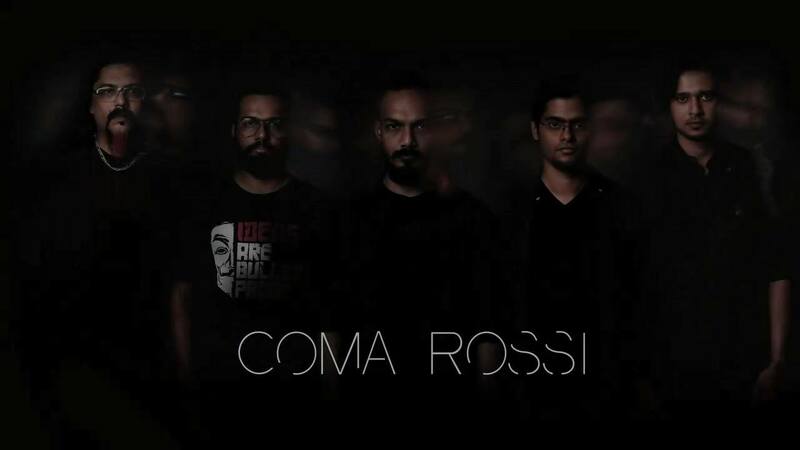 Coma Rossi, a Bangalore-based progressive metal band, has been working on this self-titled album since their formation 5 years ago. And the results justify that; this is the opposite of a hastily put-together bunch of songs where the band and its members are still finding their feet. Sound-wise, there is a lot this album has going for it. There’s riffage, the operatic vocals that have almost destroyed the genre with their predictability (but are actually quite fun to listen to), and the ubiquitous breakdowns with the spooky keys, the crushing grooves and tons of crushing heaviness on the guitar. 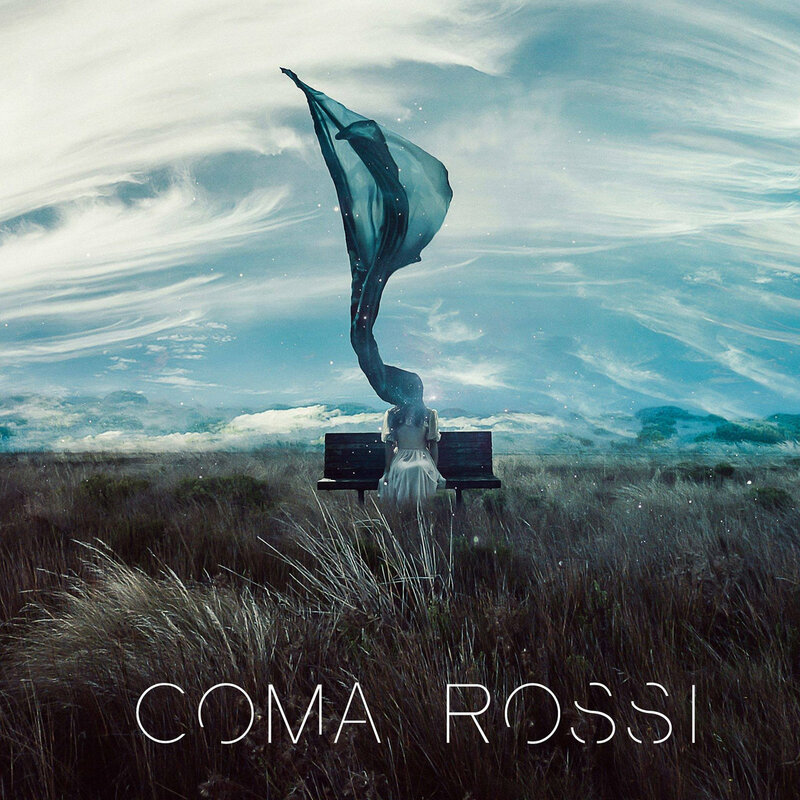 Coma Rossi is very clear on this album that they are not trying to reinvent the wheel or do anything too innovative and far out for the progsphere. But they’re precise and detailed with all the elements that make a solid prog album. Firstly, the performances. Frontman Tom Borah has the deep, vibrato-laden voice that fits the long-winded structure of the songs well. He is able to separate the soaring long-held vocal melodies and the slightly more straight-ahead verse sections enough that his vocal tone doesn’t get overly boring throughout Coma Rossi’s duration. Even though he does not use the darker shades of his vocals much, the backing instrumentation does a lot. Gaurav Govilkar’s guitars are wailing and lonely; it seems to sit in a place that is isolated from the rest of the sounds on the album. This gives his solos a bit more emotion and space to gather focus. The rhythm section is composed of Udayan Kashalikar’s dark, groovy basslines and Anupam Panda’s sometimes skeletal, sometimes flashy drums (the spaced-out drum mixing is a bit questionable though and might take a little time to get used to. It lacks the punch that the songs could have greatly benefited from in a few places). It also features Bhim Kaul and Shawn Jacob as guests. The real fun, however, is to be had in Juby Thomas’s nostalgic, classic prog keys. There are a couple of real throwback moments when the organs and other keyboard textures genuinely sound old-school and evocative. The mixing and soundscape are also on point; there’s a lot of ambience and texture hiding in plain sight that support the instruments when they want to take the lead or substitute heaviness for nuance. All these factors greatly benefit the songs themselves, and cover up the few inconsistencies in songwriting throughout the album. Opener ‘Mirage’ is not an example of this, however. It starts with an awesome drum and bass-driven groove over which there are wailing (and I mean wailing) guitars that sound like they’re in another room and Tom Borah’s surprisingly deep, operatic vocal. It does a great job of painting a mental picture, and the fact that Coma Rossi doesn’t sink into showboating and wankery is the icing on the cake. Even though they’re a prog band, they understand the importance of hooks, riffs and general catchiness; a thing so many artists seem to disregard. This approach makes the entire album so much more listenable; second track ‘Transmission’ is proof of concept. After a guitar and what sounds like an analog synth (great touch, by the way) carry the intro, the song comes very close to monotony and balladry as the band do on the entire album. There isn’t too much progression or tonal variety; it it only saved by how well written its constituent parts are. Chorus: catchy. Chords: earworm. Little bridge to connect two discrete sections: so groovy and delightful. This song and the whole album tick far too many songwriting boxes for a band that's just starting out. This song in particular has Pineapple Thief vibes, and similar influences (smoothing out odd-time patterns and fluid transitions) are worn on the band's sleeve throughout the 67-minute runtime. However, probably the most exciting piece of music on the entire release is the 12-and-a-half-minute long centerpiece 'Dream’. It is probably the most emphatic statement of the band's sound and direction. Coma Rossi moves away from the tighter, more condensed tracks preceding it and give themselves time to build a long slow-burner that simply trusts the listener to stick with it. It's not an easy risk to take, but the band shows maturity far beyond their age. Many listeners will be discouraged by this; the first half of the track seems to build up and build up with no payoff at all, seemingly content with being immersive and comfortable. Then, when the payoff seems to be just around the corner as cleans slowly distort and riffs start to emerge, the band cuts the cord and jumps into a weird textural interlude. When resolution finally arrives, it comes in the form of an acoustic guitar, pulsating bass and an overall melody that is forlorn and incredibly feels-y. It is not what one would expect, but by the time you're ready to complain, you're feeling too emotional to care. It's exhilarating and a change-up that is by no means easy to pull off, but the band does it like they've been subverting listeners’ expectations for years. Other tracks seem to balance this a bit less successfully. 'Jomolungma Is Far Away’ seems to stray a bit too far into noodle territory before, halfway through the track, one encounters one of the best heavier sections of the album; brooding and dark, it's worth rewinding many, many times. Album closer 'Lost’ is the best last song on an Indian prog album in a while, but the amazing songwriting is somewhat offset by this sugary, bubbly tone that, while beautiful and bittersweet in isolation, sort of goes against the aesthetic of the album. Coma Rossi brilliantly control tension and have the listener on a string for almost an hour (a great feat) but let go of the leash just a tiny bit at certain points. That's sort of the story of this album. When it gets everything right (which it does very often), this is the best prog album in recent memory without a doubt. But there are certain small things that, while they don't affect the individual songs in the slightest, make the overall album experience a bit weary; certain motifs pop up again and again, and certain mood patterns start to emerge that become a bit telegraphed. But man, a debut album!? Coma Rossi's next is going to be incredible. No pressure.